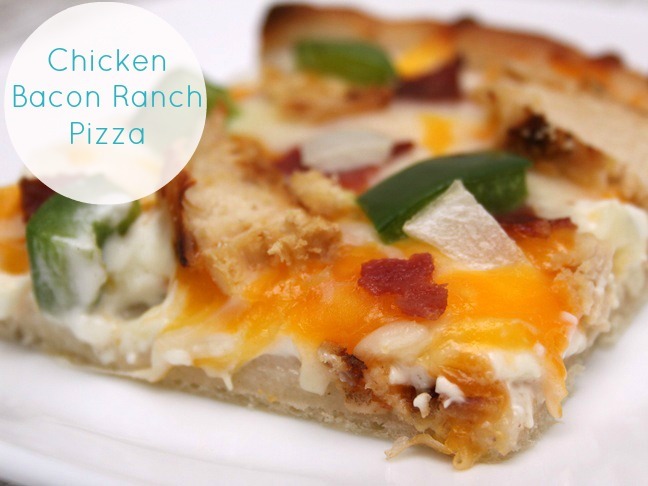 My family loves chicken bacon ranch pizza! It’s their favorite to order when we’re watching football on the weekends. We used to order it from our local pizza place, but then I thought I’d give it a try myself. 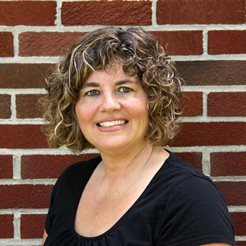 I came up with an easy recipe, and it costs less to make it at home than it does to order out. 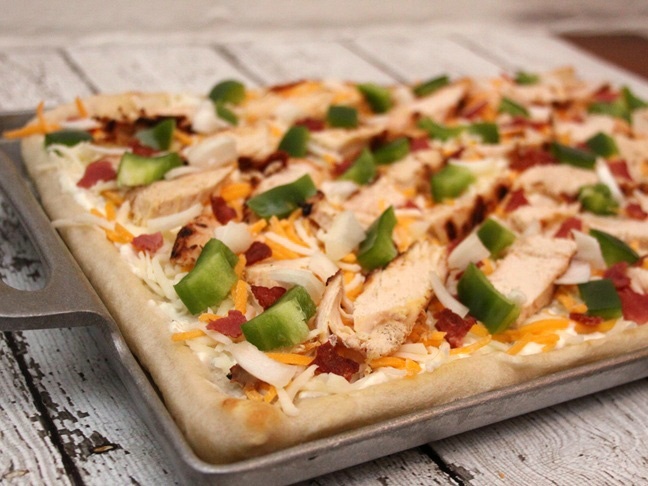 The homemade version is a big hit with my family, so with the big game coming up, I thought I’d share the recipe! Step 1: About an hour before you’re ready to start baking the pizza, marinate the chicken breasts in ½ cup of the ranch dressing. 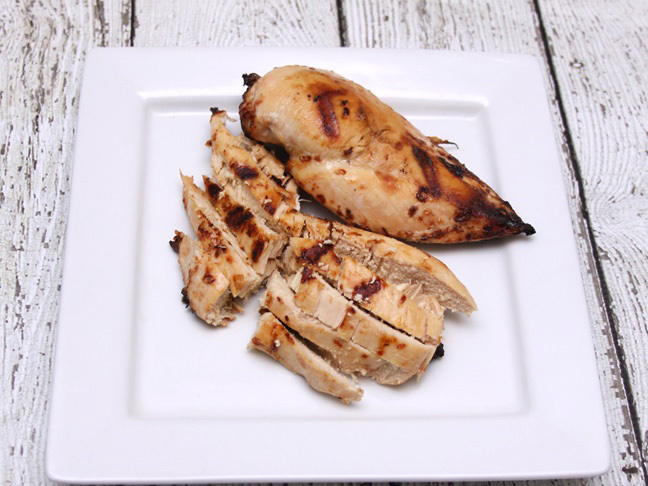 Step 2: Preheat the oven to 425 degrees F.
Step 3: Grill the chicken breasts, or bake them in the oven, about 10 minutes on each side or until thoroughly cooked. 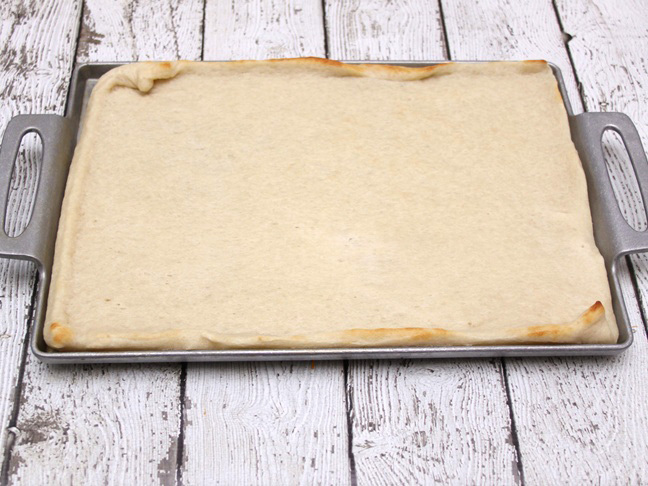 Step 4: While the chicken is cooking, unroll the pizza crust onto a cookie sheet or pizza pan and pre-bake it in the oven for about 5 minutes at 425 degrees F or according to the package directions. Step 5: Cook the bacon according to the package directions if you haven’t already, then crumble it. Step 6: Once the chicken is cooked, use a serrated knife to carefully slice it into long, thin slices. 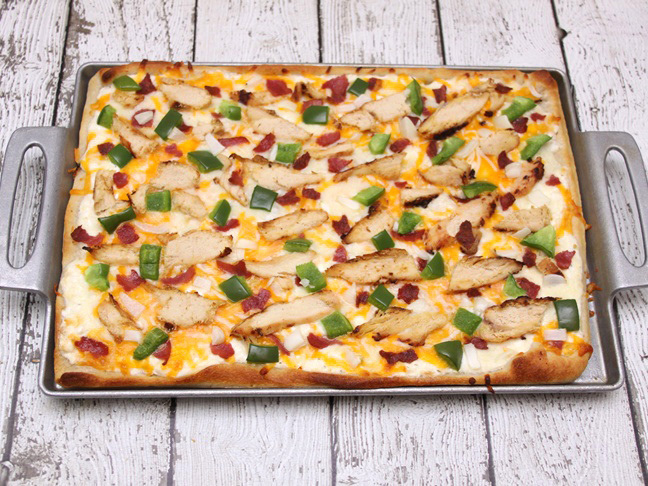 You can also purchase pre-cooked and sliced chicken tenders in the freezer section if you want to make this pizza even easier! Step 7: Mix ¾ cup ranch dressing with the cream cheese with a mixer or food processor. 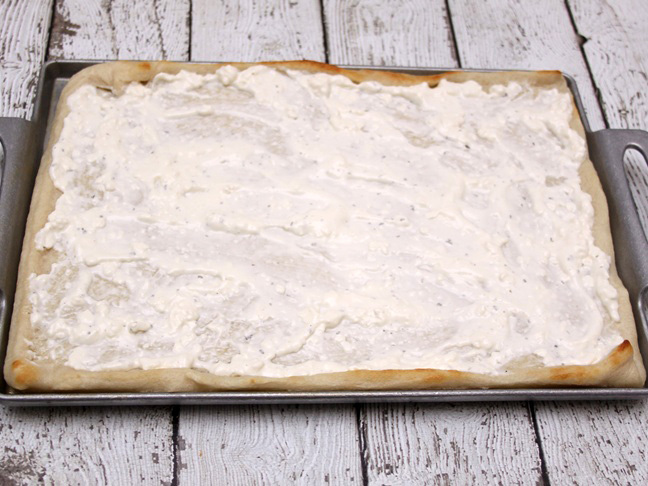 Step 8: Spread the ranch-dressing mixture evenly over the top of the pizza. Step 9: Top with the mozzarella, the cheddar, then the Parmesan cheeses, then the sliced chicken, crumbled bacon, and diced peppers and onion. Step 10: Bake the pizza at 425 degrees F for about 10 to 12 minutes or until the cheese just starts to turn a golden brown around the edges.